What Is a Q Certified Vehicle? If you're in the market for a used vehicle in Colorado Springs, CO, put your trust in Heuberger Subaru. The expert team at our Subaru dealership has a unique certification process for used cars that gives customers unique peace of mind. In order to earn Q Certification, a used car is run through a comprehensive vehicle inspection to ensure it meets the highest standard of quality. Our technicians know that a car's future depends on its past, so they do a deep dive into each vehicle's history to check for hidden discrepancies. Only the best and brightest vehicles can earn a Q Certified designation. Enjoy perfect peace of mind when you drive home in your Q Certified vehicle. Tire hazard protection benefits, which pays up to $50 to repair your damaged tires if the damage was caused by a road hazard. 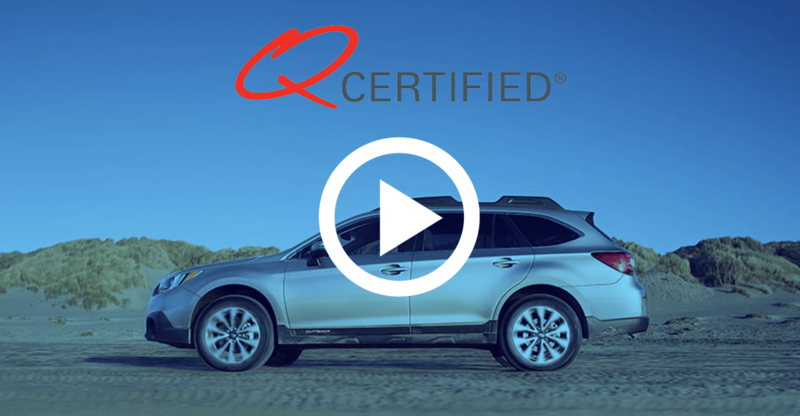 To learn more about the benefits provided to you through our Q Certification process, simply stop by our Subaru dealership in Colorado Springs, CO. We'll be happy to get you behind the wheel of a Q Certified vehicle as soon as possible!